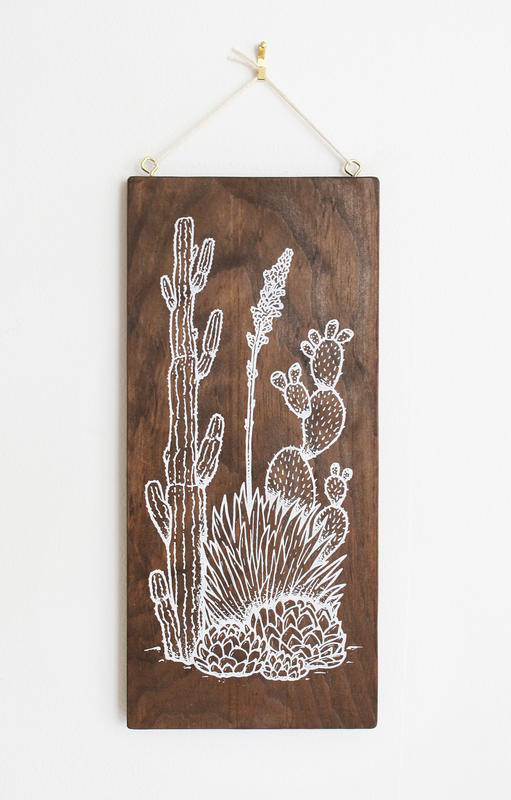 We’re delighted to announce a new addition to our line of screen-printed wood wall art — Desert Garden. 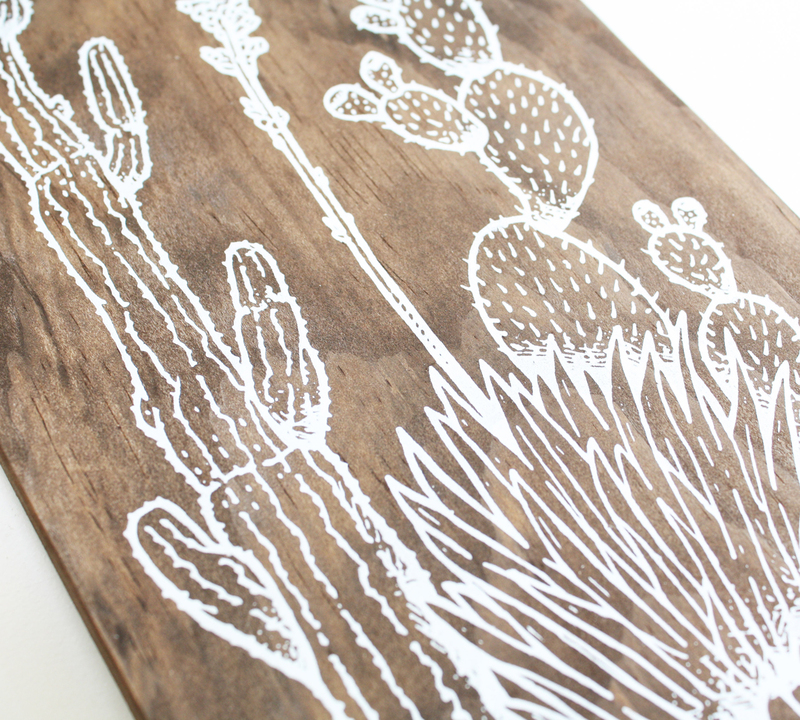 Inspired by our recent trip to Marfa, Texas, this illustrated southwest desert landscape contains agave, prickly pear cactus, succulents, and red yucca. 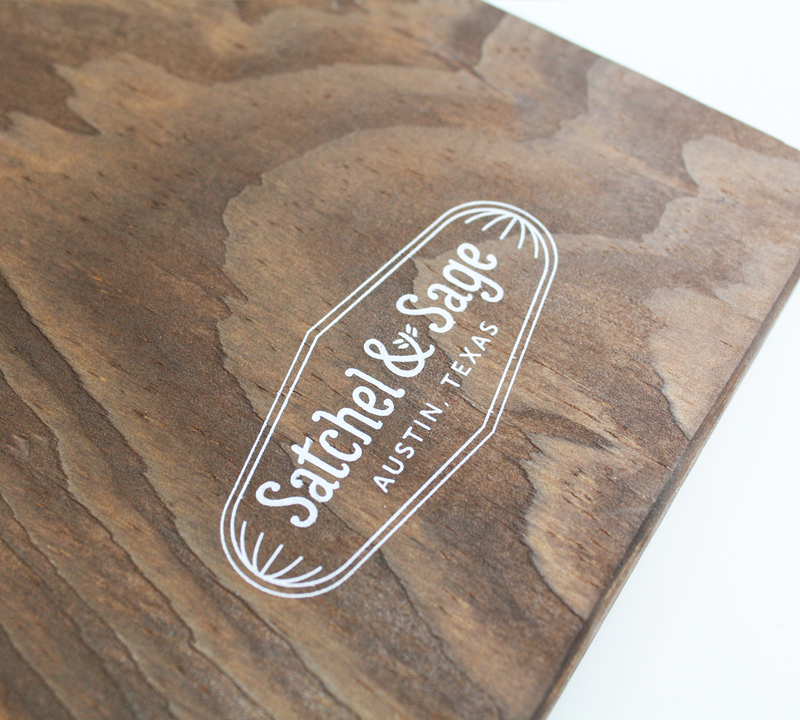 Each 5.5″ wide by 11″ tall piece of 1/2″ thick pine is cut, sanded, and stained with an eco-friendly walnut finish. 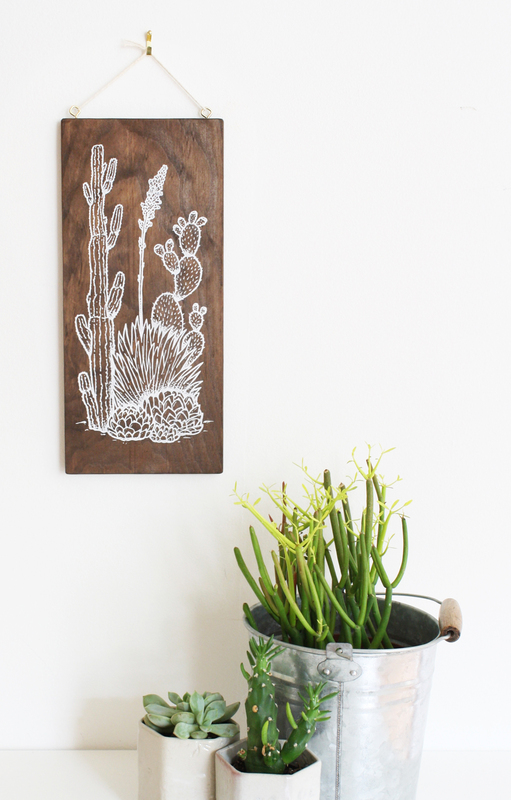 Next, we screen print the artwork on the front in white, our logo on the back, and mount brass hooks on the top to make it easy to hang and enjoy. Available for purchase in our Etsy shop.